You searched for which does not fit your . We've redirected you to 105-367, which has the proper fitment. • Dunlop American Elite motorcycle tires are designed, tested, and made in the U.S.A.
Like the way it looks on the bike. I don't have a lot of miles on it yet so can't comment on durability. Great tires, ride very smooth. Only 1,000 miles on them but like the grip on turns. Would buy then again. Have not installed the tire yet but the service was very good. great looking tire. Still waiting on weather to break here. will let you know how they feel on the road. 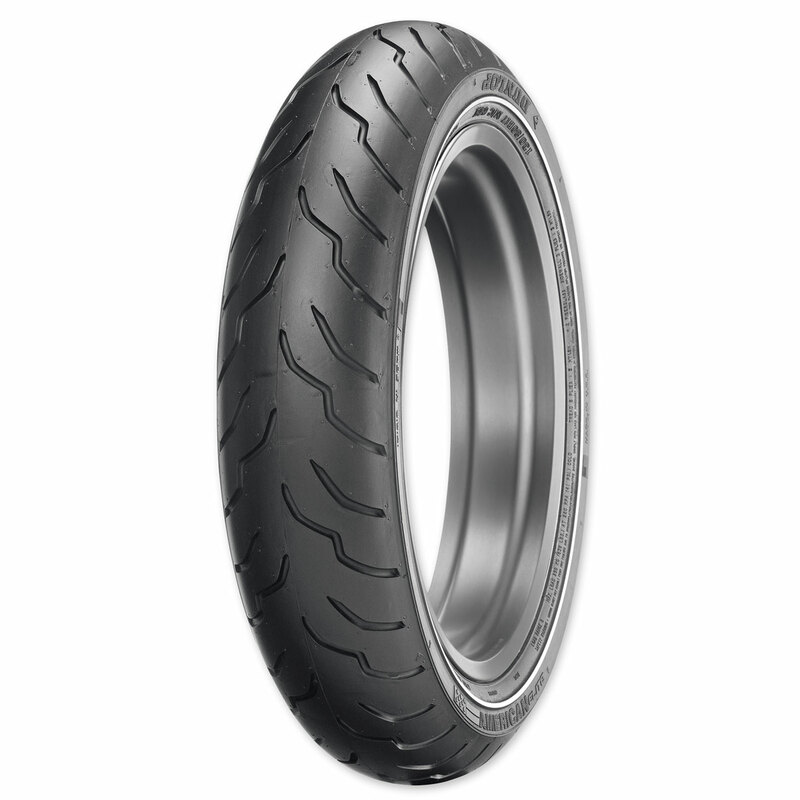 This is the most advanced tire design specifically for the Harley Touring or heavy bikes by Dunlop. A major improvement over the OEM D402. The twin rubber compound give high mileage straight up and higher grip in turns. The tread pattern is more like a sport bike, It also is available in narrow and wide white walls for the HD riders' OEM look. Finally a high performance tire system at a reasonable price at J&P vs. the dealer again!